Pregnancy | MYT is Me! Who knew that once you turn one day old your schedule becomes so busy! On Monday, all before noon, Maximus met his pediatrician, my ob-gyn, the hearing check lady, the nursery gals, got a circumcision and hospital photos. Whew! During the tests, they discovered that Maximus had jaundice. And while you don’t want to hear about your child being diagnosed with anything, at least this was treatable and common with 60% of babies. Luckily, though, instead of taking him out of the room and into the nursery under the phototherapy light, they brought in what looked like a baby sized heating pad that lit up. He had to wear it under his onesie at all times but it at least let him stay near to us. We were discharged on Tuesday, June 5. Everyone said discharge would be before 12:00pm. Milton and I anxiously watched the minutes on the clock pass. The cafeteria called asking for my lunch and dinner order. I said I wouldn’t need it since I would be going home today, but they took it any way. All we needed was for the pediatrician to come in and say we could go home. Noon came. He (the doc) didn’t. Lunch came. He didn’t. I had been encouraged to walk around the floor in order to avoid getting blood clots. Around 1:30pm I went for a stroll. I became more frustrated because the majority of the floor was empty. All the other pregnant women had been able to go home with their babies. Little old me was already sick of bed rest and hospitals and now I was the only patient still waiting to be discharged. Sadness started to set in. The nurse finally called my doctor and he said he was on his way. (Now why did you have to be called to come in and release me?) He finally arrives and says go home. However, Maximus’ bilirubin levels did not decrease so we’d have to go home with a phototherapy bed that fit in his crib. I felt like Maximus was sleeping under his own tanning bed. I hated not being able to hold him as much as I wanted to, but knew the more he was under the lights, the better he would be. Our first day home felt like we were finally family. Ma, pa and baby were all reunited and it felt so good. Maximus loves to breast feed and thought that he should breast feed every hour on the hour throughout the night! It felt great to connect with my child, but it was also very tiring! On Wednesday morning we went to hospital to have his bilirubin levels checked again. This was done by pricking his heel and taking blood. I knew they did this in the nursery, but to watch your own son go through the process is something else. He just cried and cried and cried and all we could do was watch him. We came home, took some newborn pics and then Milton’s dad came in town to hang out with his first grandchild. Thursday morning was the same thing with taking blood. This time though, they needed three vials so we watched Maximus yell three times as long. 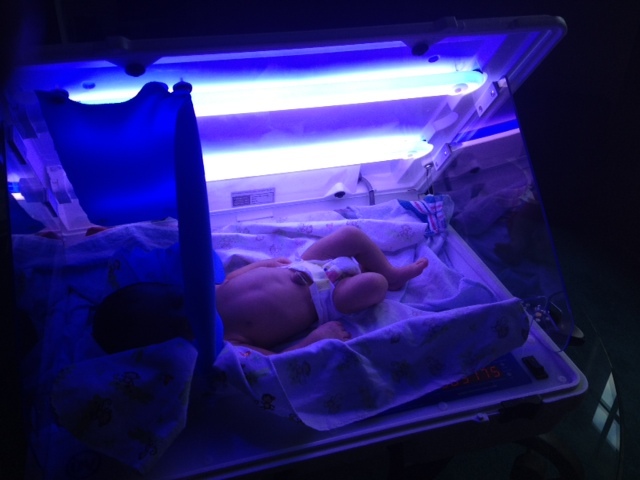 Luckily by Friday, his bilirubin levels decreased and the “tanning bed” was taken away. Milton and I were so happy when they told us the news – it was as if Maximus scored his first touchdown and we were cheering in the stands. Milton’s mother, brother and best friend Rob came by over the weekend. Week one of being a new first time mother has definitely been action packed. Feeding, crying, dirty diapers, crying, feeding, dirty diapers and just a little sleep are part of my daily schedule. But, I have been BLESSED to have such a supportive husband that wants to also be a supportive father. Often times, I’ll breast feed Maximus and Milton will change his diaper. Milton also makes sure I get in a nap in the middle of the day so my body has time to rest. He loves to hold and bond with his son. We are in love and in awe with what we have created and can’t believe it has only been one week! Just when I start trying to enjoy my freedom of bed rest, life happens. Saturday night (less than 48 hours of being off bed rest) comes and I think my water/amniotic fluids are starting to leak. Since I wasn’t sure, we call the hospital and they encourage us to come to labor and delivery. We arrive close to 8:00pm. Although I am now 4 cm dilated, my water had not broken and I was sent home. Early Sunday morning around 1:30am, I start having contractions. Once again I start timing them. This time they are a little more strong and are four minutes apart. I was sick of false alarms so I wait two hours to see if they slow down. They don’t. I wake Milton up. He suggests we go in. I say I don’t want the nurses talking bad about me since we just left. We give them a call. We head to the hospital. We arrive at the hospital at 5:00am. I am 5 cm dilated. They quickly let me know it’s time to have a baby. Whoa baby! The contractions really start to kick in, especially in my back. I’m talking real, genuine pain. They ask if I want an epidural. PLEASE AND THANK YOU! Shortly after, the best medicine God could invent gets entered in my back. Moments later I feel as if I can conquer the world. I am now 7 cm dilated but I feel no pain whatsoever. Life is wonderful. The nurse breaks my water. Time quickly goes by and I continue to dilate. Around 10:20am, they come in and say it’s almost time. They get the delivery team set up in my room. 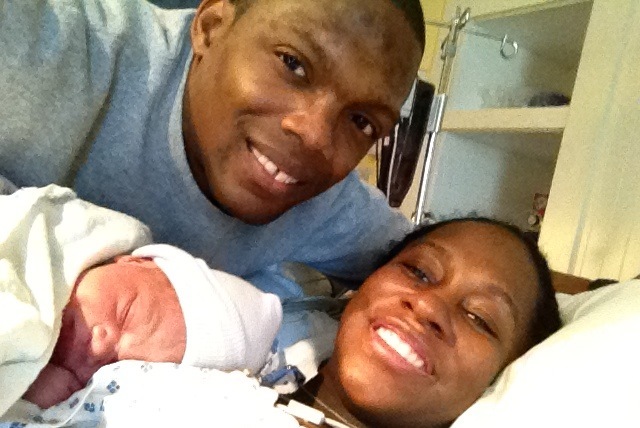 I start pushing around 11:15am – and at 11:32 our beautifully, wonderfully, joyful son was born! They positioned a mirror so I could watch the entire thing and I’m glad that I was able to witness every minute. Like all previous mothers and fathers say -it’s an overwhelming feeling you’ll always remember. Neither Milton or I cried, but we were just so full of joy and excitement! So this morning, Friday June 1, was “the doctor visit” that would determine if I would go insane or keep my sanity. 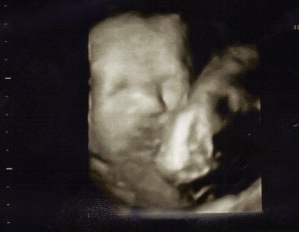 I received another cute ultrasound. After all the baby measurements, I glanced up at my doctor and said, “So am I finally off bed rest? !” She said, “Yes.” I didn’t ask her any more questions because I didn’t want her to change her answer. ALLELUIA! I was now 2-3cm dilated and 100% effaced so she still said to take it easy. There wasn’t really anything I wanted to do, I just wanted the freedom to do it if I needed to. As soon as I leave the doctor, I head to my fitness studio. My first time being there since March 27. All I did was some administrative things and by the time I left, I was so worn out. I go home and once again put myself in bed to rest. Imagine that! I didn’t want to push myself but I also liked that a had mobile options (even if limited). Saturday was similar. Milton and I went to charizYa Fitness so that I could see all of the ladies after Jessica’s Zumba class. It was so great to see them. It was also a sad time because I announced that I would be closing the studio at the end of June once my lease was up. Afterwards we walked across the street to the bank. Those two things tired me out so once again I went home to rest. Later that night we went to Cold Stone Creamery and ate some ice cream and then back home we went again. It’s the simple things that make me happy. I have a license to drive and I’m finally able to use it! The past couple of weeks on bed rest have been fine. Nothing really excited. Wake up, rest, shower, rest, eat, rest, rest, Milton comes home, rest, eat, rest, sleep. Although I could have gotten off bed rest at week 34 and 35, at each visit my ob-gyn said to stay on for one more week. The last time I was told that was this past Friday. I asked my doctor for an exception to see if I could go to church this Sunday. She said yes. If my water breaks in church it must be God’s will! I really look forward to attending church, especially close to my birthday. My mother passed away six years ago on May 23. My birthday is a couple of days later. In 2006 I was looking forward to the Sunday before my birthday because my mother and I were going to go to church and take communion together. This was an important Sunday because I would be turning 30 years old and my mother would be celebrating 5 years of living with Ovarian Cancer. Although my mother and I always attended church, rarely did we sit together because she was in the choir. However, we would always meet at the rail for communion. It was a very meaningful experience. Well, that Friday before that Sunday, my mother’s health rapidly declined and we realized she only has days to live. I went to church that Sunday and just cried my eyes out as I realized that she and I would never again have communion together. She passed away several days later on May 23 (5 years to the date that she was diagnosed with Ovarian Cancer). So, now in 2012, I’m excited to once again go to church the weekend before my birthday. I was in the hospital for Palm Sunday and Easter so I looked forward to attending. Well, late Saturday night (starting around 1:00am) I started feeling menstrual type cramps. At times they were ten minutes apart. Other times I might not have one for an hour. So, I slept it off. Th next morning we wake up for church. We eat breakfast. While I’m waiting for Milton to finished getting dressed, I all of a sudden have severe stomach cramps. Like, really painful. I became worried that once again I wouldn’t be able to go to church. Luckily I popped in some Tums and was instantly relieved! Church was great! I loved seeing many of the members that have known me since I was young. I sat through the entire service but went up with Milton to take communion. Once we got home, I took a nap. 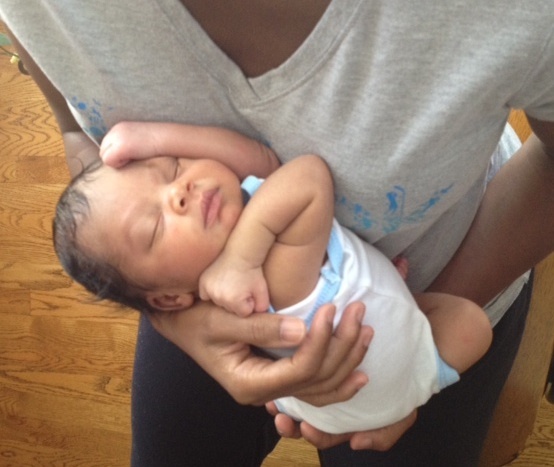 Several hours later I started feeling pressure in my lower abdomen – like Baby Turner was trying to set himself free. Milton and I headed to the hospital. I was once again put on the monitor. I was having some contractions although they weren’t painful. However, I was now 100% thinned and 1.5-2cm dilated. I was given some terbutaline and told they would probably keep me overnight. Luckily, in the middle of the night, my contractions slowed down and Milton and I were home around 3:30am. HOWEVER, the doctor thinks Baby Turner will come this week. I am to return as soon as my water breaks or if my contractions are five minutes apart. I have a feel Baby Turner will either come on May 23 (the date of my mother’s death) or May 26 (my birthday). TIME SHALL TELL!!! Today Baby Turner has made it to 34 weeks. Each and every day is a blessing. Although I thought I’d get off of bed rest this week, my doctor would like to keep me on for another week – so bed rest lives on. It was a difficult transition at first because I went from being in the hospital and having EVERYTHING done for me, to being at home and having just the opposite. Luckily I have an AMAZING husband that has been there 100% of the way and has never complained. I see how tired he is most nights, and a couple of times tried to help out. But I was told to lay back down and bake a baby. Michelle: I have watched you grow literally and figuratively over the past eight months. A little over a month ago, I got a call saying that you had been rushed to the hospital by ambulance because of pre-term labor. I rushed to the hospital not knowing whether our son would be OK at little over 2 lbs. You were told you couldn’t get out of bed for a month, but you used love, patience, and ingenuity to help our baby grow to more than twice his size. You beat the odds when even your doc didn’t think you could make it this long. All the while, you still ran three businesses from a hospital bed. I know it was hard and we shared a lot of tough times and contractions together, but you learned the great skill every great mom has: sacrifice. Mothers sacrifice everything they have for their kids and you are living, walking (ok, maybe waddling right now), talking proof that that nothing is more valuable. Thank you for giving our son a chance at a healthy life. Happy Mother’s Day, baby. I love you. Of course it brought tears to my eyes. Milton helps me realize that being on bed rest is not just about being lazy all day, it’s about creating a safe haven for a developing baby. Seven weeks ago my child try to make a special early appearance. Seven weeks. And for seven weeks I’ve helped slow down that process. Like Milton said, it’s the beginning of many sacrifices I’ll make. Today was somewhat hard for me because I miss my mother. Both of my parents are deceased and today brings up the realization that neither will be around to raise/spoil their grandchild. My mother was one of the most amazing people you could meet. I don’t say this just from personal experience, but everyone that met her said the same. Even after her death, people were doing things to honor her. Nobody can replace my mother, but luckily many of her friends have stepped in to do motherly things. Currently a group of them have started organizing a food delivery list so that Milton doesn’t have so much to do after working a 10 hour day (with a two hour commute). They have been a blessing. What would have made my mother proud is that I reached out to them for help. As an only child, one my my mother’s largest worries was that I didn’t reach out to people when I was in need and always tried to do everything by myself. I’ve come to realize, though, that especially once I become a mother, I will need people’s support, love and advice more than ever. Life is all about relationships. Some are built over time and some are unexpected. 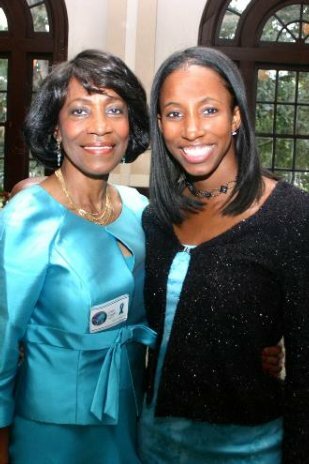 My mother has an amazing legacy because of relationships she established with others. I think I’m finally prepared to do the same.